It is the end of September. Labor Day weekend is coming up quickly and the kids are returning to school. 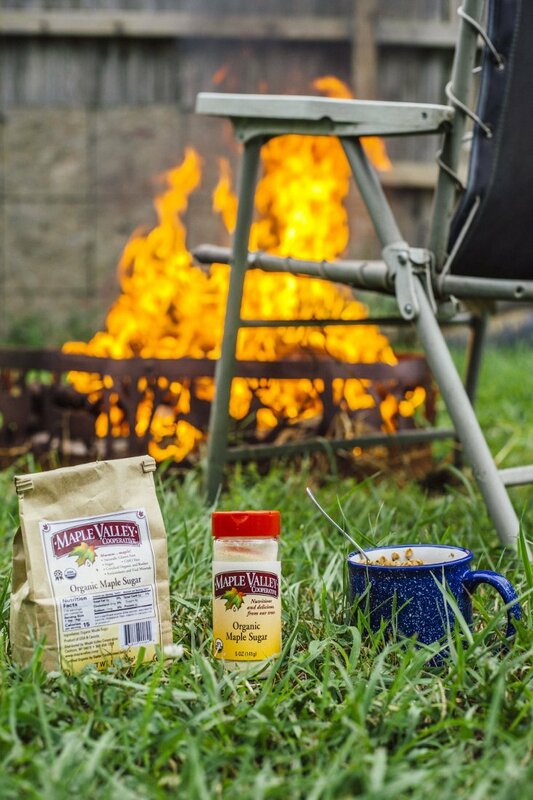 But today is National Eat Outside Day and there is still time for one last camping trip. Fall can be the best time for camping. The changing leaves and crisp nights give the experience a more pleasant feel. 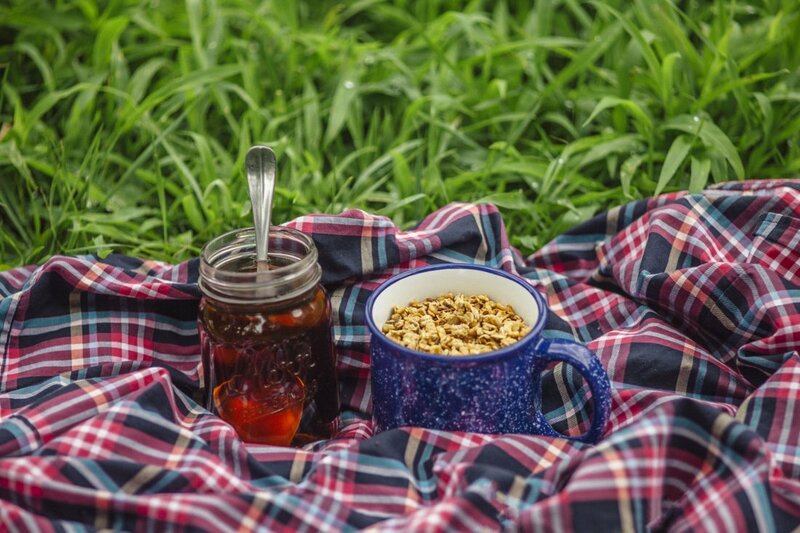 Many people think of maple syrup as a must have when it comes to fall cooking. But maple syrup is heavy. The bottle is glass and can break. The cap could be left open and might spill. It is not always an ideal product to bring with you when backpacking or camping. Here at Maple Valley, we have a solution. Maple sugar. When compared to maple syrup, it is much lighter and easier to carry. The 5 oz shaker or 1 lb bag are ideal sizes to shove in to the corner of your backpack. You can sprinkle it on cereals or meats for grilling. 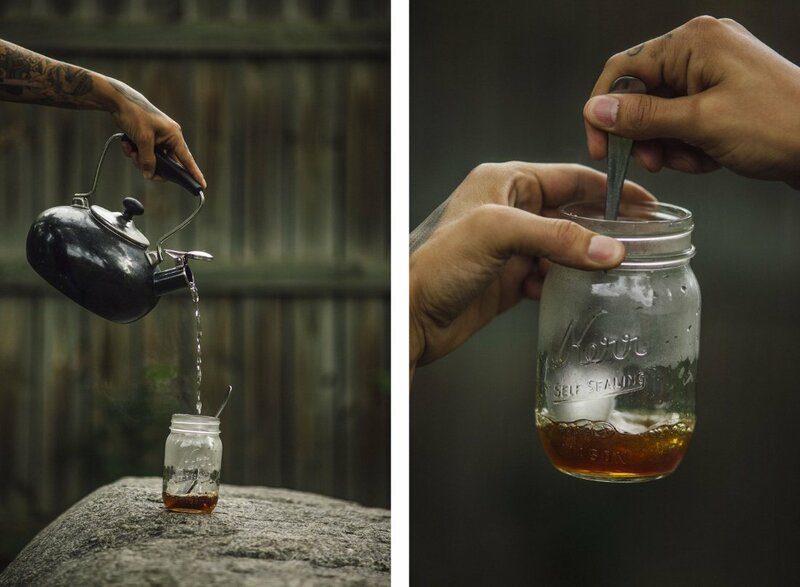 You can also make maple syrup with it to pour over your pancakes or in your cowboy coffee. How is this done? It is simple! 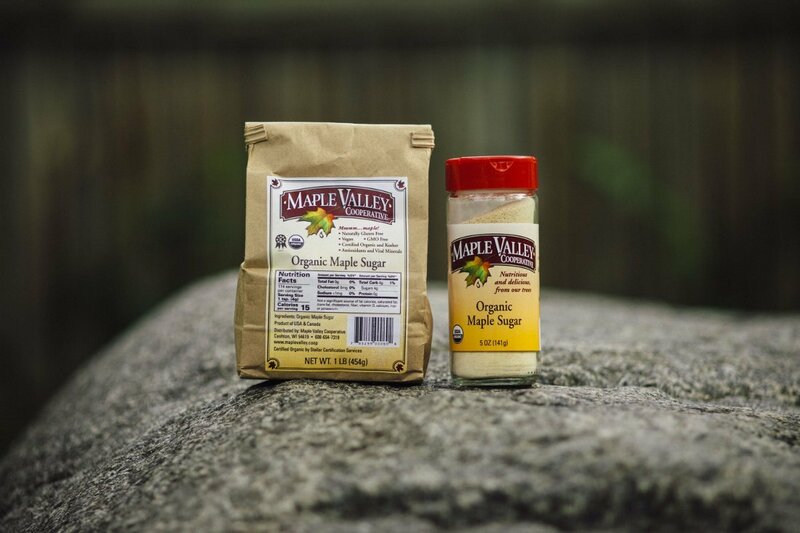 Just add water to maple sugar and mix it up! We found that 2 parts sugar and 1 part water makes the best mixture. It also works best if you can use hot water to dilute the sugar. The less water you use, the thicker the syrup will be. This makes this camping hack even more versatile. You can adapt your DIY syrup to whatever recipe you have in mind. 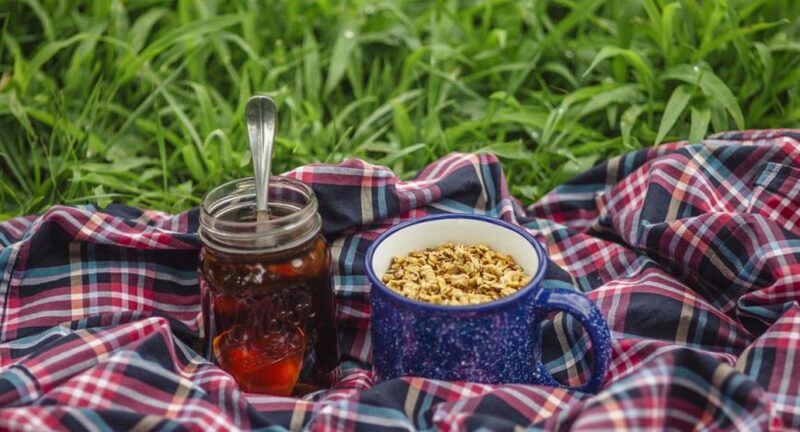 Now you don’t have to go without delicious, real maple syrup while you are camping. You can have it in the middle of any forest or on top of any peak and impress your friends with your resourcefulness while you are at it. So get out there and camp – while you still can!